Yeah I admit it, I had a great time with Star Wars: The Force Awakens. It felt like I was back home…which was actually part of the problem for me! It just felt too damn calculated. I get into it a lot with people who wanna shoot down the fact that it was basically a remake for 2016 of The New hope. Well I ain’t gotta argue my point no more, because the Honest Trailer has arrived! Now don’t get me wrong it was a ton of fun…just not very original. This isn’t a bad thing though for a guy like me because now this year we get Star Wars: Rogue One which looks much like the Star Wars flick I’ve been waiting for with an exciting original plot (I hope)!! Please Don’t Bring Darth Vader Back from the Dead!! We’ve all heard the rumor mill this week about all things Star Wars all the damn time 24/7. To be completely honest I’m trying to avoid as much of all that as I possibly can-I would really like to see Episode 7 without knowing the whole damn plot and every one of it’s secrets ahead of time! Remember when you used to see a movie and it was a total surprise? Now days every website is trying cash in on spoilers & rumors on our favorite movies. However when I saw the rumor posted that Hayden Christensen is in training to return as Darth Vader in Episode 8 I couldn’t resist. I’m really hoping that this is just one big fat lie. 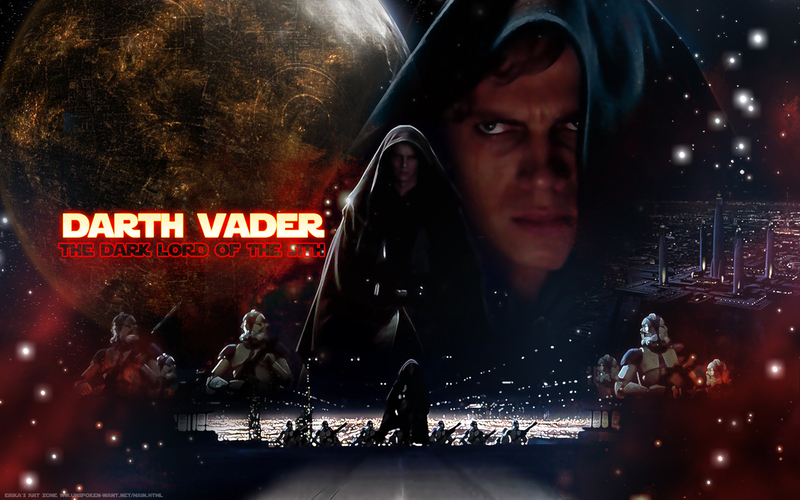 Not because I dislike the prequels (which I totally do) but I really think it’s time to let go of good ol’ Lord Vader. Yeah he was an amazing villain, one of the best, most iconic of all time. But let’s face it his story has been told and his demise was perfect, bringing him back from the dead would only diminish how important his role was in the entire saga!! It’s a “do it merely to cash in” move that puts pleasing the fans above a compelling story. Let’s face it too, Darth Vader IS dead! We even saw George Lucas replace Sebastian Shaw with Hayden Chistensen’s version of “ghost” Anakin back in his “improved” version of Return of the Jedi. I’m also totally ok with bringing back Actors like Ewan Mcgregor to play Obi-Wan Kenobi in spin-off flicks. So no I’m not just prequel hatin’! Let’s move forward with Star Wars, keep little bits of the old but we really are fully capable of having a new villain again who’s just as potent as Darth Vader! I mean I’d like Hayden to get one more chance to really redeem himself in the role – But what do you think? You want to see Darth Vader back from the dead in the flesh? Could they do it tastefully?